Pullen Map Collection (MS-2-756) – This collections contains fourteen historical maps and charts of Eastern Canada and one illustration, produced by cartographers such as Thomas Jeffreys and Jacques-Nicolas Bellin. Nine of the fifteen items have been digitized. 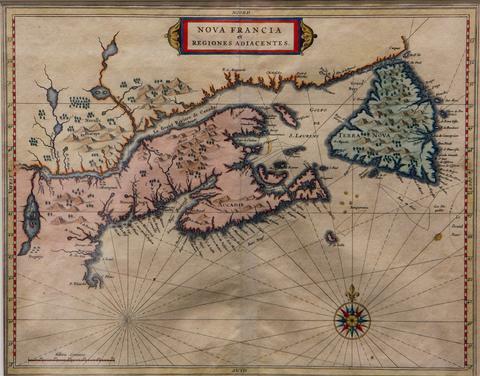 Edward J. Mullaly Map Collection (MS-2-46) – This collection contains twelve historical maps of Eastern Canada, produced by cartographers such as Giovanni Battista Ramusio and Girolamo Ruscelli. Mullaly’s donation also included copies of Kershaw’s “Early Printed Maps of Canada” and “A Monograph of the Evolution of the Boundaries of the Province of New Brunswick” by William F. Ganong. Both volumes were transferred to the Killam Library Special Collections. All twelve maps in this collection have been digitized. David and Marilyn Janigan Map Collection (2011-006) – This collection contains eighteen historical maps of the Eastern Seaboard and Nova Scotia municipalities, produced by cartographers such as Jacques-Nicolas Bellin and Giacomo Gastaldi. The donation was highlighted in the Dalhousie Magazine (Volume 28, Number 1, Spring 2011). Eight maps have been digitized. You can read more about our historical maps on the Archives’ website. What is a ‘Lunch-less Learn’, you may ask? It’s a hands-on tutorial, held around lunchtime, open to all on campus–without the food! This series is offered by the GIS Centre to help give people a taste of what GIS is and how it can be used. We are repeating sessions at different times and locations to accommodate as many people as possible. GPS – Where on Earth Am I? 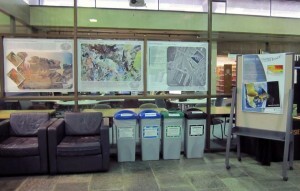 The Dalhousie Map Collection and GIS Centre are creating posters for display in the Killam lobby. The latest is one of a series of aerial photographs done in 1969 by Capital Air Surveys Ltd. for Nova Scotia Lands and Forests. 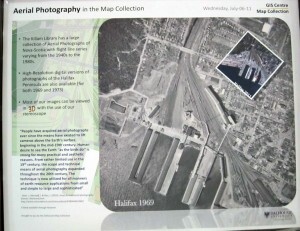 These photos, taken from an elevation of 3200 feet (approximately 1km), cover the area to the west and north of the Halifax Harbour and Bedford Basin. The images of the peninsula are available from the Map Collection in digital format at high resolution. 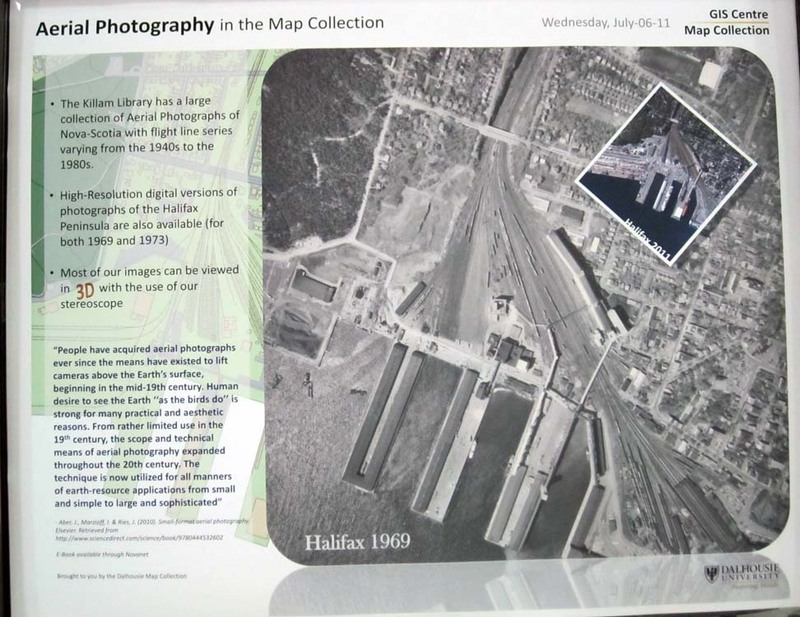 Most of their aerial photos, including this entire series, can be examined in 3D using a stereopticon in the Map Collection room on the second floor of the Killam Library. the “new” bridge was still under construction, to be opened in 1970. The bridge doesn’t appear on the index map. there was a large railyard where the car dealerships are now, north of Young St. 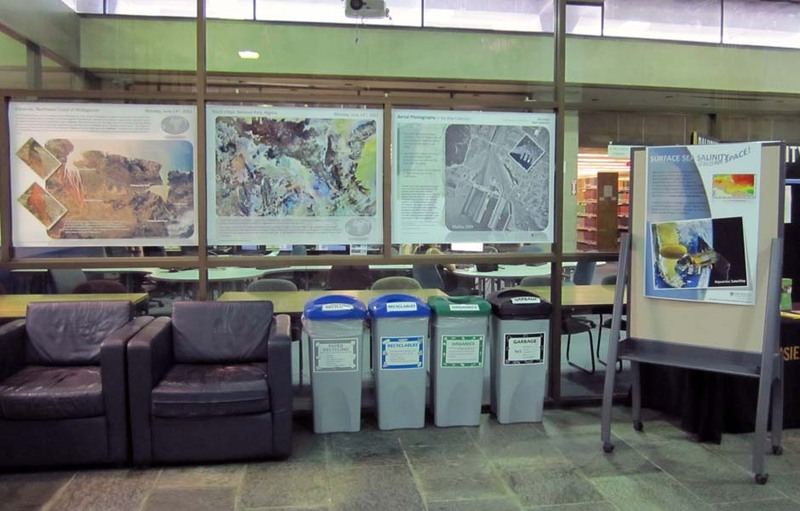 The Map Collection has posted just one of these images, but they have thousands of aerial photos, so watch the Killam lobby for more exciting posters over the summer! So You Want To Make a Map? This “Lunchless Learn” session will cover the basics of geospatial data, where to find it and how to create your own. What is a ‘Lunchless Learn’, you may ask? It’s a hands-on tutorial, held around lunchtime, open to all–without the food! Due to a high level of interest, we ask that you contact the GIS Centre to reserve a space. For more information, email us at gis@dal.ca or visit our website. This is the second topic in a series. This session will be repeated on October 20th at Sexton Campus at noon. You are not required to have attended the first session (First Encounters of the GIS Kind: An Introduction to the Basics of GIS) but basic GIS skills will be assumed.